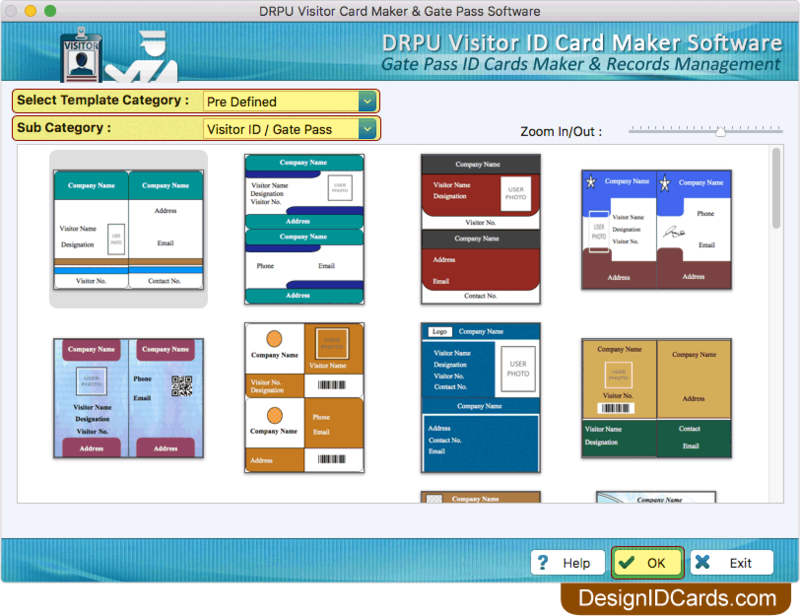 To design visitor ID card, select your template and click OK button to continue. 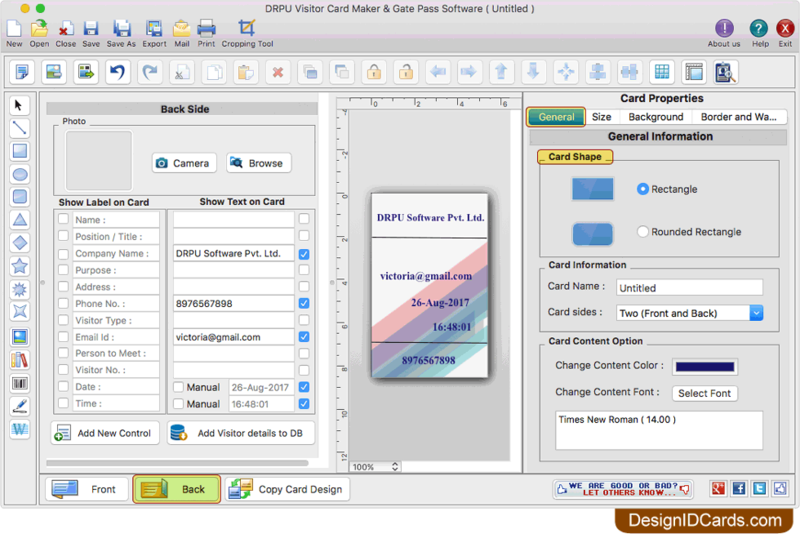 Add visitor details on ID card. To add photo of visitor on ID card, browse photo or you can also capture photo using Camera Settings. Add visitor details on back side of ID card. 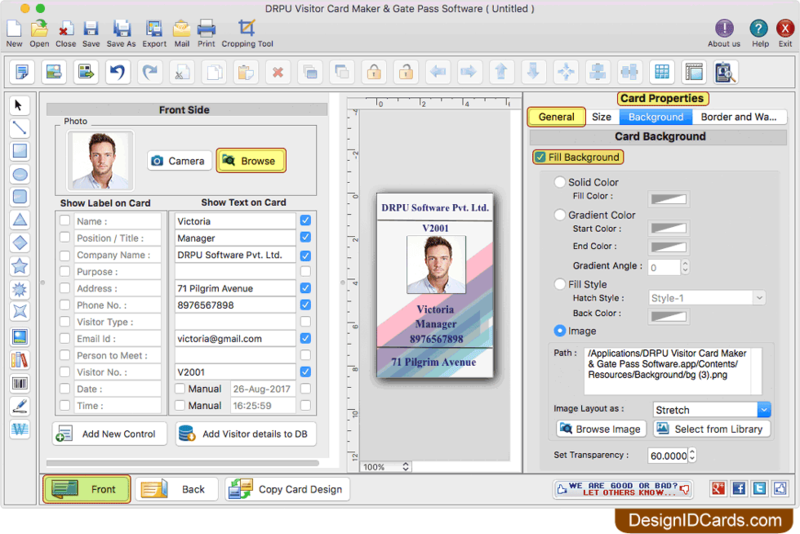 To print designed visitor ID card, click print option from toolbar. 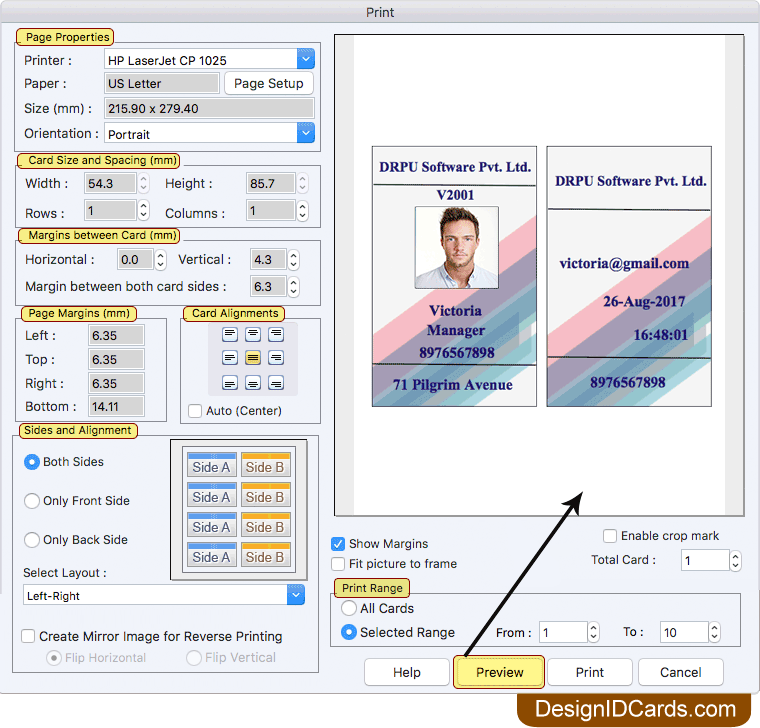 To print designed visitor ID cards, set various print settings. You can also see the preview of visitor ID card by clicking on Preview button.